A group of religious El Al passengers have accused the carrier of kidnapping after their flight incurred a five hour delay and the airline didn’t allow them to disembark back into the terminal but instead made it’s way to the runway and took off. The point of contention was that the flight went into the time of the Jewish Shabbat as it made a scheduled unscheduled stopover in Athens, which didn’t sit well with the complaining passengers. 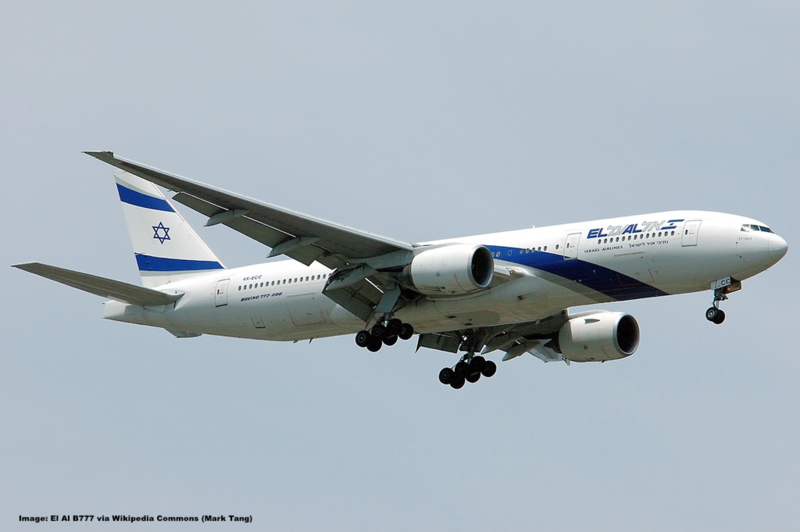 Unlike other airlines, El Al often has ultra-orthodox passengers who make requests such as not being seated next to women, some of which resulted in fines and policy directives for the carrier not to accommodate such discriminatory requests. Now the Jerusalem Post reported that a group of religious observant individuals wants to take legal action against El Al for what they call kidnapping as their JFK-(ATH)-TLV flight took off with a 5 hour delay and apparently not returning to the gate to let them off the flight. Passengers on the “nightmare” El Al flight from New York to Tel Aviv on Thursday night are planning on taking legal action against the airline for a series of decisions that culminated in the group being stuck in Athens throughout Shabbat. Drafts of letters with demands have been circulating between passengers over the last couple of days. One passenger said that the group was split into those who were waiting to see what compensation the airline would offer, and those who would be taking legal action with disregard to whatever the company decided. Shortly before the plane took off, religious passengers began to request to disembark since they realized the flight would continue into the Sabbath on Friday evening, a violation of religious Jewish law. El Al claimed that “a group of haredim” requested to get off the plane and “exercised heavy and violent pressure against the cabin crew” in seeking to disembark, alleging that this caused further delays in taking off. Numerous passengers have denied those allegations. According to these passengers, the flight captain announced that the plane was returning to the gate to allow anyone who wanted to disembark to do so, but then swiftly made its way to the runway and took off unannounced while passengers were still on their phones telling their family members they were staying in New York. They accused the airline of lying and of a “kidnap” after a five-hour delay in taking off meant that the plane could not reach Israel before Shabbat began. This is the first time I have heard of somebody making a claim of “kidnapping” to the exact same destination the passenger intended to go to when purchasing the ticket and boarding the aircraft. For flights departing from a U.S. airport, airlines are required to begin to move the airplane to a location where passengers can safely get off before 3 hours for domestic flights and 4 hours for international flights. Exceptions to the time limits are allowed only for safety, security, or air traffic control-related reasons. If indeed this flight exceeded the DOT four hour rule, regardless of impact on the flight or airline scheduling, El Al would be legally required to return to the gate and allow any number of passengers (even a single one) to disembark. Airlines prefer that passengers do not know this right as returning to the gate creates a cascade of issues in regards to ground services and the possibility of crews timing out and cancellation of entire flights. If someone’s religion or beliefs can not accommodate unpleasant aspects of travel, including unexpected or lengthy delays, then it would be wise to schedule travel so that it does not put an individual into any danger of violating their faith. When it comes to any travel that is tied to an important event whether it be a meeting, wedding, or funeral, travel experts advise to arrive one day earlier to account for unexpected delays in travel. Logically one could extend this to any religious obligations someone may observe. There seems to be three sides to this story, El Al’s, the passengers and the somewhere in the middle, the truth. It appears at this point with a lawsuit having been filed, it will be up to the courts to determine the facts from the conjecture.